We have just added a new exciting feature: double booking. 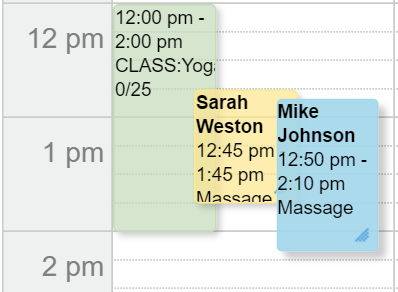 It's now possible for staff members to double book and make overlapping appointments or classes at any given time. 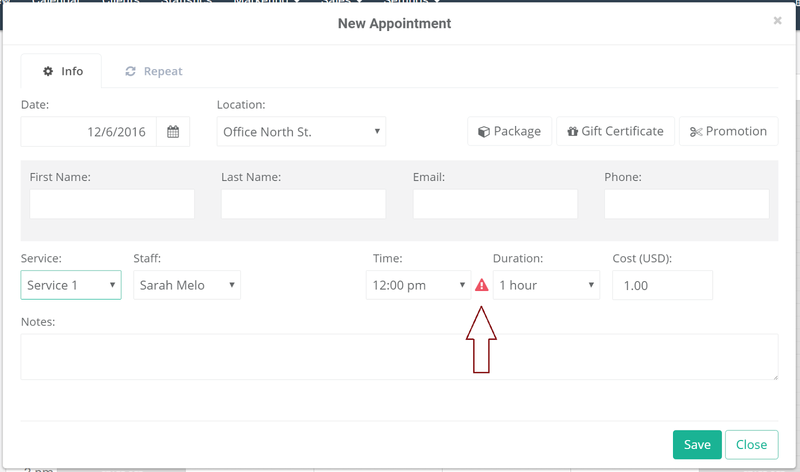 1) Simply, click and drag an existing first appointment directly onto the second appointment (the time slots will automatically adjust and split). 2) Click the time slot close to the existing booking and select add appointment. In the new appointment window, review all the details and select the preferred time. If another event has been booked in this time range, a red warning sign will appear instructing you that you're about to make a double booking. Click 'Save' button and you're done, appointments will automatically adjust and split. Here is an example with two overlapping appointments and a class. Note: Double booking can only be made offline by staff members manually, directly from the calendar.